Some people wonder why I think the study of the Bible should take centre stage of a theological college’s curriculum. Other people may feel incredulous that anyone would question whether a theological college should drill its students in the interpretation of Scripture. Let me unpack two reasons for why it’s essential that we place central importance on the rigorous and systematic study of Scripture at Trinity. First, the Church needs leaders who present us with the remembered Christ. The Bible has always served as the primary lens for the Church’s understanding of God’s will for the world and the life of his people. And its contribution is far more profound that provision of pithy truths about how one should live. Ultimately it proclaims the Word of God as most clearly revealed in the person of Christ. Scripture (Old and New Testaments) present us with the remembered Christ who comes to us clothed in the biblical literature. I often point out that for the Church to overlook its responsibility to interpret and proclaim the remembered Christ of Scripture is to leave its people to live like the imaginary Christ. A theological college that loses a core emphasis on the reading of Scripture and its history of interpretation loses the remembered head of the Church. Andrew Louth says something similar when referring to the New Testament’s importance for the Church. We become Christians by becoming members of the Church, by trusting our forefathers in the faith. If we cannot trust the Church to have understood Jesus, then we have lost Jesus: and the recourses of modern scholarship will not help us to find him. Second, we must provide an education that equips people with the necessary skills for wrestling with the humanity of Scripture. The words (plural) of Scripture communicate the Word (singular) of God. The Book of Jeremiah illustrates this point. Whereas the opening verse introduces the book as, “The words (plural) of Jeremiah, the son of Hilkiah…”, he immediately announces “Now the Word (singular) of the LORD came to me, saying…” (Jer. 1:4). The Word of God discerned by Jeremiah comes packaged in Jeremiah’s culturally bound language and literary conventions. The Church needs people who can wrestle with the humanity of Scripture in discerning the Word of God. It also needs these people to model the same within our congregations. As the head of a theological college it worries me that biblical literacy is declining among people enrolling within a theological education. Professor Brent Strawn recently likened the teaching of the Bible within a theological college to the teaching of a second language. People coming to classes may regard the Bible as sacred, important, and even defend what they understand to be its truth claims. But these same people may never read the Bible or know how it should be read. As Professor Strawn points out, if only old people know how to read the Bible and can’t read it well, the Bible will suffer the same fate as a dead language. 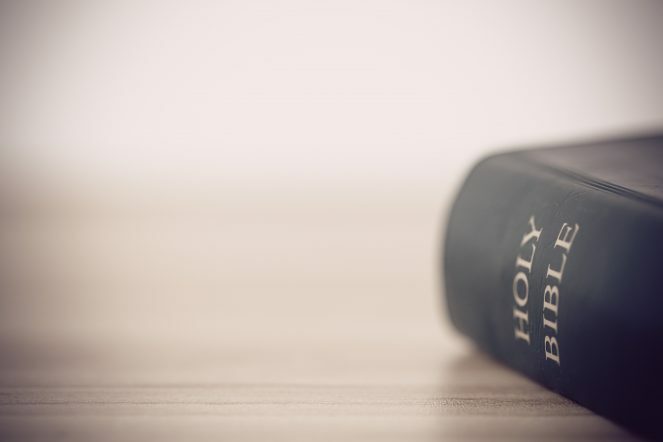 If a person regularly participates within their local church, how do they get to a point of entering theological education without an awareness of the biblical literature or the basic skills for reading it? So perhaps you can see why I’m committed to making the systematic and informed reading of the Bible central to the curriculum of Trinity College Queensland. The church needs leaders who can proclaim the remembered Christ of Scripture. And it’s not just an interest in the Bible as an historical artefact or as an example of ancient literature. We need leaders who interpret and apply the Word of God in Scripture. Andrew Louth, Discerning the Mystery: An Essay on the Nature of Theology (Oxford: Clarendon, 1983), p. 93. See Brent Strawn, The Old Testament is Dying: A Diagnosis and Recommended Treatment (Grand Rapids, Baker Academic, 2017). After finishing a PhD in Veterinary Science through the University of Sydney, Leigh completed a PhD in the Old Testament under the supervision of Gordon J. Wenham. His research on the Old Testament focuses on the literary artistry of Leviticus.